Chinese smartphone maker Vivo has launched its latest budget smartphone Vivo Y21L in India. 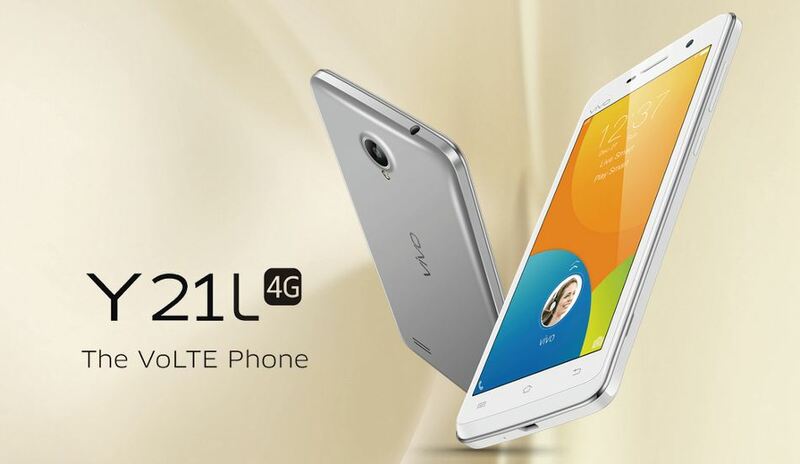 The Vivo Y21L is a dual-SIM 4G device with VoLTE support and carries a price tag of Rs. 7,490. The smartphone will soon hit the store shelves and will be available in Grey and White colour variants. The Vivo Y21L sports a 4.5-inch FWVGA (480×854 pixels) display and is powered by a 1.2 GHz quad-core Qualcomm Snapdragon 410 processor coupled with 1GB of RAM. The device offers 16GB of internal storage which can be further upgraded up to 128GB via microSD card and runs on Android 5.1 Lollipop with Vivo’s Funtouch OS 2.5 on top. The device packs a modest 2,000 mAh battery and supports USB OTG. In the camera department, the Vivo Y21L features a 5MP primary rear shooter and a 2MP camera on the front for selfies and video chats. Vivo has bundled various other interesting features with this device as well like the Palm and Voice capture which makes photography more fun and easier. You can click more detailed and sharp images using the Palm capture while the voice capture enables users to click pictures by just saying ‘Cheese’. Other interesting features include the Smart Click and Smart Wake. The Vivo Y21L looks very promising and it offers quite decent specs at a cost of Rs. 7,490 although there are other devices offering higher specs and more features in this price range, so the competition is surely going to be very stiff for this device. In the meanwhile, stay tuned to MobiPicker for all the latest news and updates.